Some Xbox Live features are temporarily unavailable. You can still play online and send messages. When this problem occurs, you can play games and chat. However, you can’t access some Xbox Live features. For example, you can’t purchase or download content. Some Xbox features are not available because of system maintenance or a temporary Xbox Live issue. You can't access some Xbox features because of a network configuration issue. The Xbox Live service might be unavailable due to system maintenance. Check the status of the Xbox Live service. If there’s an Xbox Live service alert, wait and try again later. If you have a firewall or are connected to a network through your workplace or school, you might need to open network ports for your Xbox 360 console to communicate with Xbox Live. See Network ports used by Xbox Live for help. If this solution didn’t resolve the issue, try the next solution. Connect your Xbox 360 console directly to your modem instead of connecting it to your router. Note This is a temporary solution meant to help determine the cause of the problem. On the modem, remove the Xbox Ethernet cable from your router. 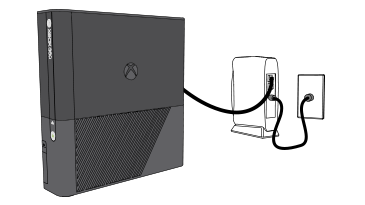 Plug the Ethernet cable from the Xbox console into the modem. Unplug the power cable from the back of the modem and wait one minute. Plug the modem in first and wait for the modem lights to return to their normal state. Turn on the Xbox console. Test your Xbox Live connection. To do this, go to Settings and select System Settings. Then select Network Settings, select Wired Network, and select Test Xbox Live Connection. If you can connect to Xbox Live with a direct-to-modem connection, your console and modem are working as expected. To connect to Xbox Live using your router, you might need to change a setting on your router. For information about how to configure your router, see the Networking hardware information forums. To resolve this issue, verify that your networking hardware is compatible with Xbox Live. For help with a specific network device, see Choosing or configuring a new networking device. Chcete se obrátit na podporu ohledně problému „Error 80072f7c occurs when you try to sign in to Xbox Live“, o kterém jste četli, nebo ohledně jiného problému?